For an upcoming rooftop party Natalya and I were hosting, I was trying to figure out some good hors d’œuvre ideas that would be easy to eat. Finger foods would be ideal. I was thinking along the lines of little quiche cups, but I wanted something a little bit lighter and refreshing for the summer. 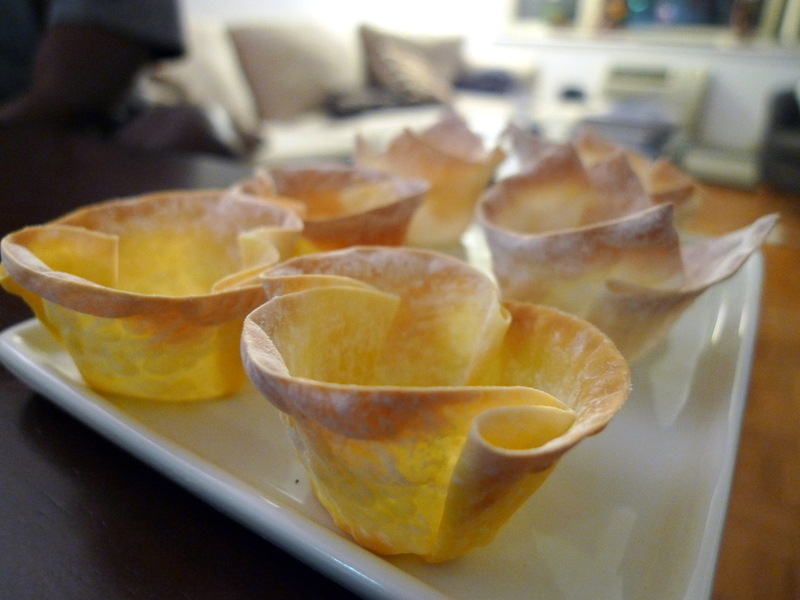 I found an idea for “wonton baskets” where you take wonton wrappers and mold them into baskets by using a mini muffin tin and bake them. A lot of websites say to find wonton wrappers and cut them into squares, but they already come in square or circle form in the stores near me. I ended up trying both shapes and thought both were fine; I think it really depends on your presentation preference. My local Asian grocery store also offered a “Shanghai-style” (white color) and “Hong Kong-style” (yellow color) wonton wrappers and to be honest, I still have no idea the difference, at least in terms of ingredients. If anything, I liken the Shanghai-style to a lighter, more airy flour tortilla and the Hong Kong-style to a slightly denser corn tortilla. For the chicken salad appetizers, I preferred the Shanghai-style because it felt a little bit lighter in taste. 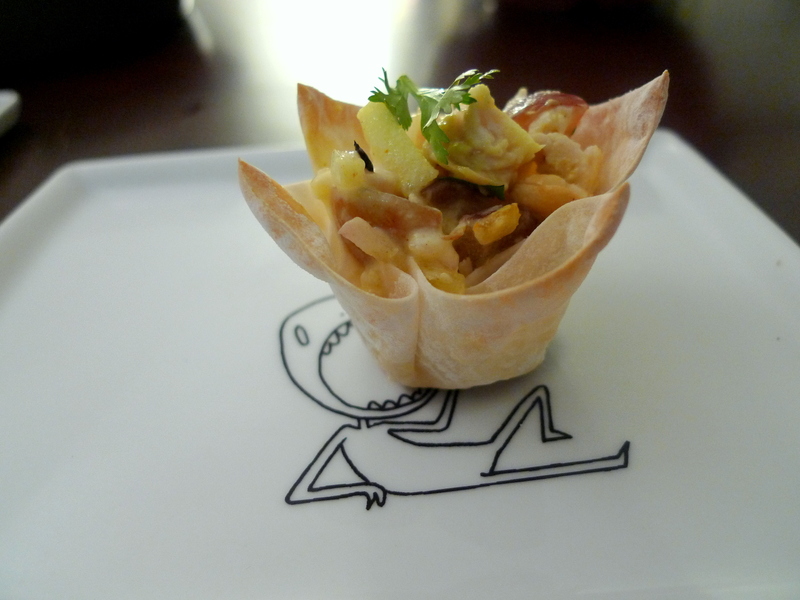 I decided to fill the wonton baskets with a summery Lady Marmalade Chicken Salad. That was a perfect balance between sweet and savory (I just minced all the ingredients to make them appropriate for the wonton basket size). Other great filling ideas include salmon mousse, tuna tartare, spinach artichoke salad, mushroom and cheese, crab dip… the possibilities are endless! Yields: as many baskets as you have wonton wrappers! Preheat oven to 375°F. Spray a mini-muffin pan with cooking spray. Lightly oil the surface of each wonton wrap. I just put about 1 T of oil in a small, shallow dish and then I dipped my fingers and lightly transferred the oil to the center of the wrapper. 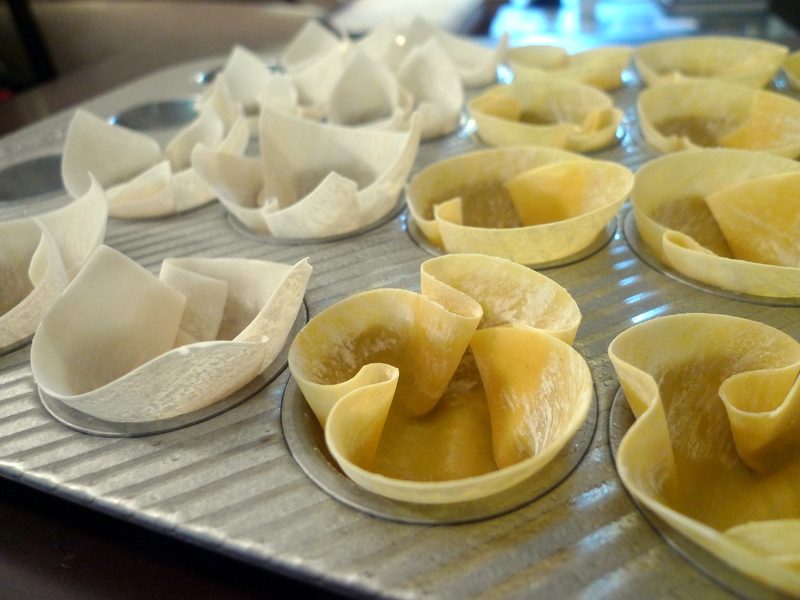 Gently press the wontons into each mini-muffin mold, pressing the sides to form an open basket. Bake for about 8 minutes or until lightly golden. 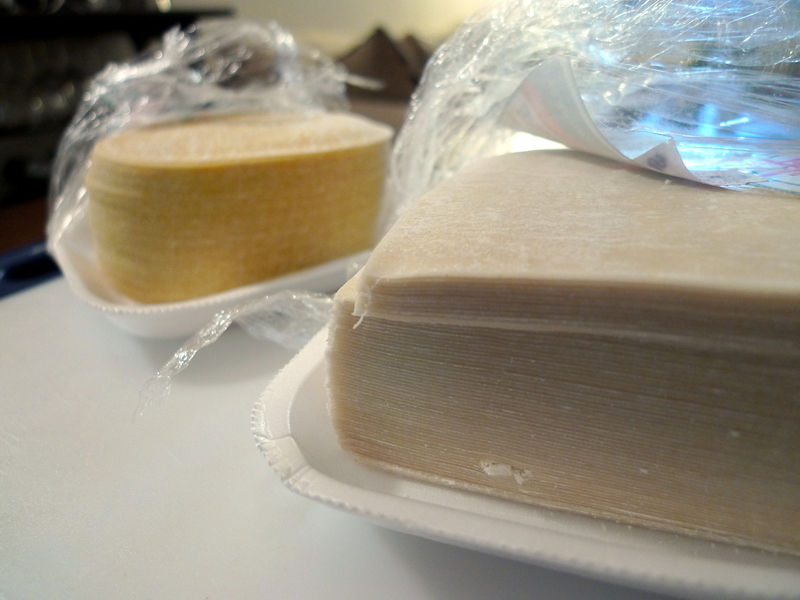 You can make these 1 day in advance; just cover and store at room temperature.